Apple iPhone 4S: A lot of people were disappointed thatApple’s announcement early this month was not for the iPhone 5, but the 4Ss does have quite a bit to offer. It received a dual core processor and upgraded graphics abilities, meaning apps will run a lot smoother. Disappointing is it’s lack of 4G connectivity, but 4G isn’t available everywhere yet, and 3G is actually pretty fast, so this may not be a deal breaker. Release date is…TODAY! Oct. 14th! If you’re reading this and want one, you’re probably in for a 2-3 week wait at this point. Besides the standard video chat software Facetime and gigantic library of Apps, the 4S comes with Siri, which actually lets you speak to your phone with normal conversation, letting you ask questions and receive spoken answers. Kind of like a 21st century Magic 8-Ball! 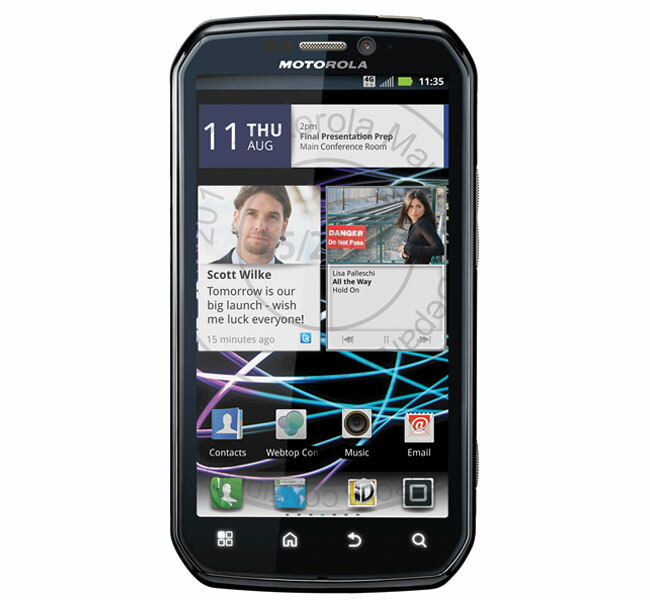 Motorola Droid Bionic: This phone is a powerhouse, but I’m reluctant to recommend it because I’m angry with Motorola. The Bionic was supposed to be the phone I wanted. It was supposed to be awesome. It was supposed to be amazing. And is was…back in February 2011 when it was first introduced. Right before its release, Motorola decided to take it back and rework the whole thing. Months went by…SEVEN MONTHS to be exact, before it was released. Don’t get me wrong, the Bionic is probably one of the best 4G phones available right now. Its dual core 1GHz processor packs a wallop. The phone’s shape and 4.3″ screen are both pleasing to the eye. Verizon’s 4G wireless service is SCREAMINGLY fast and widely available. The phone can even dock with a keyboard/monitor station and be used like a netbook. The problem is it is late to the party. The Bionic is being competitively priced right now because of other offerings around the corner (I actually saw it offered free on Amazon last week). This is a great phone, especially for the bargain shopper. I just don’t think I’ll ever be able to look it in its red eye after standing me up. Samsung Nexus Prime: To paraphrase the 80’s band Foreigner, “I’ve been waiting, for a phone line you…” The Nexus Prime is gong to be THE phone on Verizon’s network. 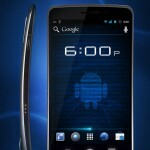 Due to be officially announced on Oct. 19th, the Nexus Prime touts some jaw dropping specs: a super crisp 4.65″ OMLED curved screen, a dual core high-efficiency 1.2GHz processor, 4G, and the coup de grâce: it will be the first device to feature Android 4.0 aka Ice Cream Sandwich. This completely revamped version of Android will feature a new interface, new tools, and coolness we haven’t even thought of yet. The screen is huge, which is why the device is curved. Sources I’ve consulted have said the curved design gives it the footprint of a 4.3″ phone, so you won’t need mitts like Andre the Giant to hold the thing. I’ll be patiently awaiting its arrival and will give a hands on review once officially available. Samsung Galaxy S II: The successor to the Samsung Captivate, the Galaxy S II boasts a beautiful 4.3″ AMOLED display covered in super tough Gorilla Glass, thin design, a peppy 1.2GHz dual-core processor, and something we don’t see very often: an excellent 8MP camera. Samsung is known for its vibrant screens, and this one doesn’t disappoint. They packed a lot of power into a wafer thin case, so you’ll be happy with this phone for at least a couple of years. 4G capability and excellent call quality round out the Galaxy S II’s features, making it a great choice for users looking for an upgrade. Apple iPhone 4S: AT&T is the original carrier of the iPhone, and it’s here to stay. Expect the same features as the iPhone 4S on every other carrier…front facing camera, Siri voice commands, Facetime, 5MP camera, and a dual core 1GHz processor. Motorola Atrix 2: Newly released, the Atrix 2 is similar to the Droid Bionic on Verizon. It sports a 1GHz dual core processor, a fantastic 4.3″ qHD screen, Android 2.3, and an 8MP camera. While not a true 4G phone, it does support HSPA+ for internet speeds up to 21Mbps. Like the Droid Bionic, it also supports docking so it can plug into a keyboard/monitor dock and be used as a netbook. This guy should be released in the next week or two, so keep your eyes peeled. Apple iPhone 4S: Same iPhone 4S, new carrier! Sprint has finally got a hold of the iPhone, letting fans of the Sprint data network unleash their Apple-y phones to Sprint’s excellent data plans. The iPhone 4S doesn’t support 4g, but Sprint’s 4G coverage is a bit lacking at the moment so no big deal (their 3G service is actually excellent and widely available). Motorola Photon: This powerhouse, features an NVidia Tegra 2 dual-core processor running at 1GHz, a great 4.3″ qHD screen, Android 2.3, and an 8MP camera, it is similar to the Atrix 2 and the Bionic on those “other” carriers. It also sports webdock capability, letting you plug into a monitor/screen docking station and use the phone as a netbook. The Photon is unique among Android phones in that it includes Enterprise Security, so the IT guys at work will like you a bit more when using this phone to access company resources. I also really like the beveled edge case design. Definitely worth a look. 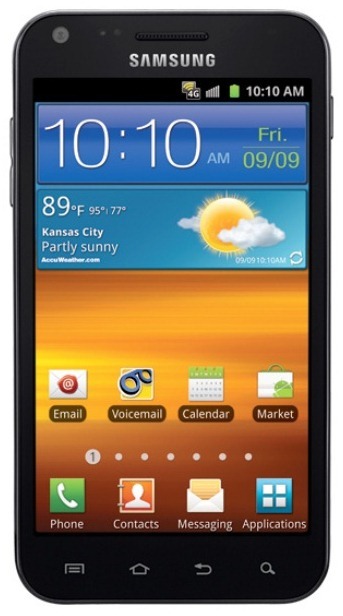 Samsung Epic 4G Touch: The Touch is probably the best Android based phone on Sprint right now. Its gigantic 4.5″ Super AMOLED Plus screen is simply gorgeous to look at, packs a smoking fast 1.2GHz dual core processor, is 4G capable (although Sprint’s 4G coverage is limited right now), and the 8PM camera is quite good…all in a package just a hair over 1/3″ thin. The Touch carries Android 2.3.3, and is currently Sprint’s flagship phone (next to the iPhone of course…don’t want to tick off Apple). Not everyone can handle the screen size however, so you may want to try before you buy. HTC Sensation 4G: The Sensation is aptly named, as it caused a sensation at its release. Sporting a sleek design and a gorgeous 4.3-inch qHD display, the Sensation is one of the best Android phones you can get from any carrier. Features include a 1.2GHz dual-core processor and 8-megapixel camera, plus the unique HTC Sense user interface that brings some clever and welcome enhancements. The rounded case design and aluminum construction make the phone comfortable to hold, and 4G support gets you on the Internet wicked fast. Samsung Galaxy S II: The Galaxy S II runs a dead-heat with the HTC Sensation. It has a slightly faster 1.5GHz dual core processor, and a slightly better Super AMOLED Plus 4.3″ screen, and a slightly newer version of Android (2.3.5), but the build quality and interface enhancements featured on the HTC are not there. It’s a matter of form vs. function. The specs on this phone will get you past the next two years with no problems, and it is stunningly quick in both performance and 4G Internet speeds. I don’t envy you if you need to choose between the two phones — I’m not sure I could do it. HTC MyTouch 4G Slide: Some people like smaller phones. Some people like physical keyboards. Those people will love the MyTouch 4G Slide. 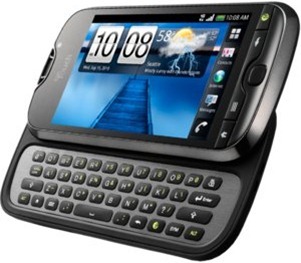 As its name implies, the MyTouch 4G Slide features 4G access, and a slide out keyboard. HTC includes its excellent interface enhancements featured on the Sensation to perk up the 3.5″ screen, and a 1GHz dual core makes sure it runs smoothly. The star of the show is the 8MP camera: it’s probably one of the best cameras ever integrated into a phone. The dual LED flash brightens up pictures, facial recognition is supported, and 1080p video support is thrown in as a cherry on top. The MyTouch 4G Slide is a great phone that will appeal to a wide range of people. You need a data plan on your carrier to use a smartphone. No way around it. Data plans range anywhere from $20-$50 per month. Most people go with a 2GB plan, but you can try starting with that and increase or decrease your plan depending on your average usage. All modern smartphones include Wi-Fi connectivity. USE IT! The phone will automatically connect to Wi-Fi when in range of a wireless router, and can help to reduce data plan costs. For example, I’m a heavy data user, but because there is Wi-Fi nearly everywhere I go, my monthly data usage averages around 300MB. Therefore, I am able to get a lower priced data plan than I would normally need. 4G phones will have a shorter battery life. If you have a standard (non-smart) phone, you’re probably used to a week of battery life. You are also the people in for the biggest shock — get used to 6-12 hours of use on a charge. Fortunately phones these days use standard micro-USB cables, so phones can be charged on computers, laptops, outlets, cars…just about any power source. Many phones have charging docks, which keeps your phone from getting crushed in your pocket as well as keeping it juiced up on your desk while you work. Turn off features like 4G or Bluetooth if they aren’t often used to increase standby time. A car charger is a handy thing to have, but you don’t have to get one specifically made for your phone. As mentioned, the standard micro-USB connector used in smartphones means any charger with a micro-USB connector can be used. Don’t be ripped off by the $30 car chargers at the cell phone stores when a $8 charger from Target is just as good if not better. If you are new to touch screens, remember: It’s a TOUCH screen, not a PUSH screen. The screen works by conducting electricity through your skin, not by pressure. If you start pushing on icons or your keyboard instead of using light touches, you will get inaccurate results and frustration will result. Have any questions about your phone setup? Let me know! UPDATE: Regarding the iPhone 4S, I’m getting reports that they’re not selling as many as anticipated at most stores, so there appears to be plenty to go around at this point. Some models such as the 64GB White model are in short supply, but the rest are available. Happy hunting! Thank you for sharing. This is very interesting.